If you didn’t know who you were looking for, I’m not sure you would’ve even noticed him standing there on the sidewalk. Pacing back and forth along the curb, a phone pressed to his ear, he had a black cap pulled tightly over his head, black jacket, black shirt, black pants. To passersby, he looked like any other Portlander waiting for a table in Northeast during Sunday brunch hours. Few, save the diehard film buffs, would give pause. I knew too much, of course. I had spent the morning reading up on him, the acclaimed producer, director, editor, writer. Steven Soderbergh, Oscar winner, consecutive award nominee, with a roster of over 100 films and television episodes bearing his name in some form or another. The New York resident was in town for business meetings and promotions on behalf of his spirit, Singani 63, socializing with some of Portland’s top bartenders and drink slingers. 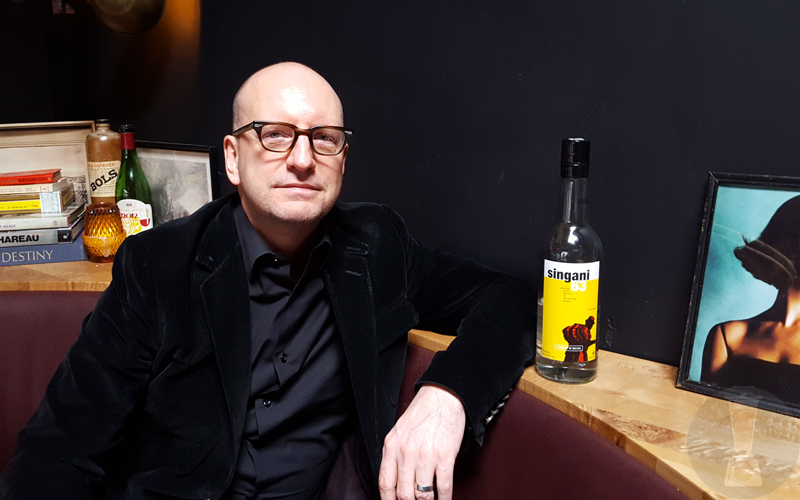 The singani, classified as a brandy, was favorable in every iteration offered by the Expatriate bar staff but also flexible enough to drink neat. Crisp and floral, its production is unique, made from white Muscat grapes grown above 5000 feet in the Bolivian mountains.